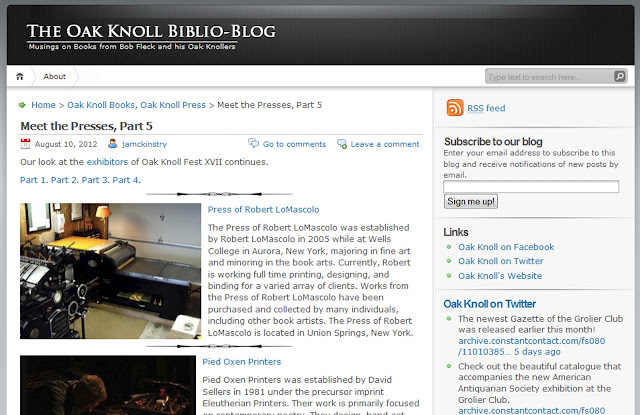 The Press of Robert LoMascolo: Oak Knoll Fest . . .
Oak Knoll Fest . . . In anticipation of Oak Knoll Fest 2012, October 6-7, The Press of Robert LoMascolo and other exhibiting presses are being featured on the Oak Knoll Blog. Check it out!